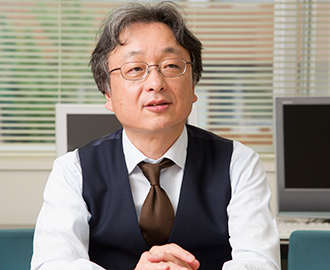 Professor Nishizaki’s field of expertise is known as systems engineering. In particular, he focuses his research on decision theory and game theory, and takes a mathematical approach to decisions that need to be made under uncertainty. “For example, for selecting a business project, you need to take account of the various uncertainties when you choose from among possible several projects. That is the kind of decision-making I look at”, he says. In the case of game theory, which deals with issues involving multiple decision makers, for example in a situation where a number of people are working together on a joint project, we develop a methodology for dealing with how profit can be maximized and how the proit can be allocated among the decision makers. 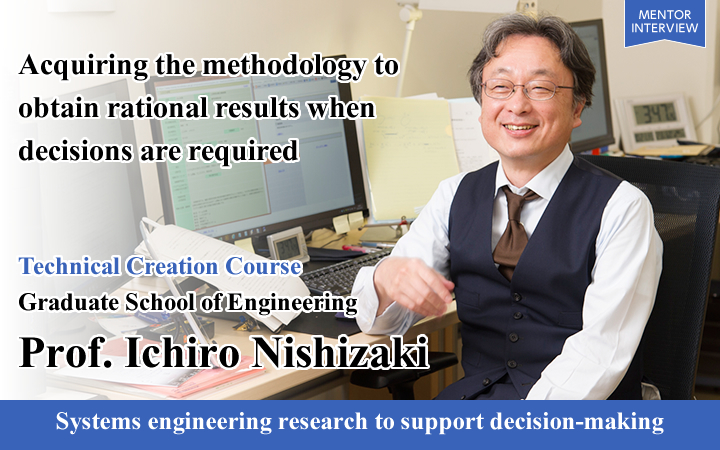 Professor Nishizaki says that his research in this field originated from his interest in rational decision-making. Currently he is also working on its application to actual social uses, through his research on decision-making in electric power systems. “Since the Great East Japan Earthquake, there have been calls for the reform of Japan’s electric power system. In my research I look at what should be done to build a better electric power system, taking into consideration the various conditions for the spread of energy management systems (EMS) that liberalize electric power and optimize the use of energy, as well as demand response mechanisms” he says. 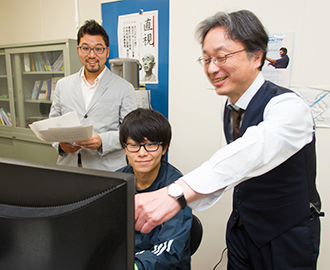 In the Taoyaka Program, Professor Nishizaki teaches a subject called Advanced Social Systems Engineering. This subject is about game theory, with the aim of having the students understand the basic concepts and obtaining the knowledge to make rational decisions and resolve conflict. “Game theory is a tool that is used when mathematically analyzing people’s behavior. To do so, we formulate various situations, and consider the optimal combination of actions. The key point is that when there are multiple participants, they influence each other. In a strategic situation, as one predicts the next move or assesses an action that was taken, we identify what action would be optimal for each participant under a set of given rules”. 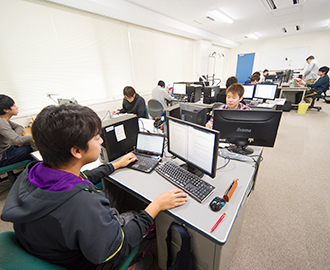 After a series of lectures for this subject, each of the students gives a PowerPoint-based presentation, which is then followed by a discussion on the content of the presentation. “I want the students to learn the basics of decision-making methodology. This knowledge should be very useful for them in the onsite portion of the course, when they will be holding discussions with students from other fields as they undertake their studies. I introduce the students to a large amount of knowhow for obtaining a rational answer, such as evaluating things from as many different viewpoints as possible”. 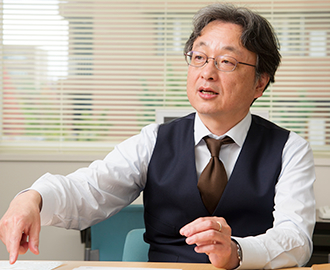 Professor Nishizaki speaks of his thoughts about the Taoyaka Program. “In terms of the initiative to integrate the humanities and science, I have experience of this in joint research with teachers in the social sciences and economics department, and so I have great expectations for those kind of organic links”, he says. “While the humanities and the sciences do have different cultures and this can be tough, for the students I think that will become a place where they can build up valuable experience for the future”. 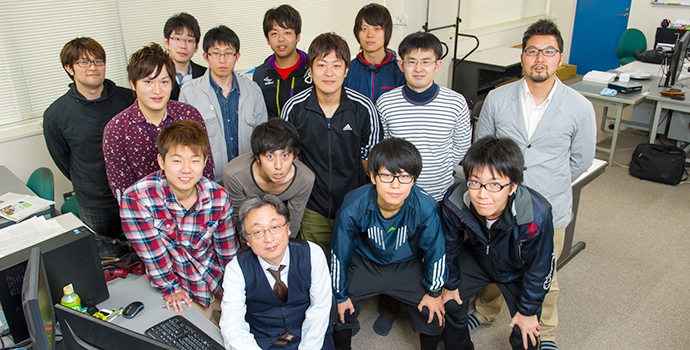 Professor Nishizaki also said that if he is involved in supervising students from the program in the future, “a research topic might be methods used for electric power systems in disadvantaged regions, for example”. “In my research group, we build models for an ‘artificial society’, which is a computer-based virtual society. The agents that make up this society each influence one another, and communication between them causes various phenomena to occur. By applying such communication, we can do things like analyzing social phenomena and assessing government policy. This kind of method is commonly used for economic phenomena. I think that the students will be able to implement more meaningful activities if they prepare properly by applying this kind of method before they go out to the disadvantaged regions”.